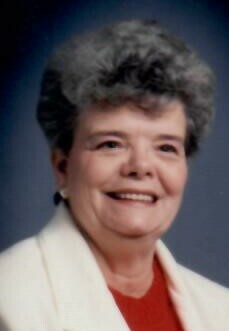 Myrleen Starkey of Waterloo, Illinois passed away on Tuesday, February 5, 2109 at her home having attained the age of 84 years, 2 months and 20 days. Born in Kaiser, Arkansas, she was the daughter of Edward Earl and Chloe Irene Watkins, nee Sanders. Myrleen was a financial clerk and a member of the teamsters for 11 years. Preceding her in death were her parents and Larry William Starkey. Surviving are her sons, Charles Starkey of Waterloo, Illinois and Stephen Starkey of Galveston, Texas; her brother, Charles (Anna) Watkins of Senath, Missouri; her three grandchildren and her nine great-grandchildren. Funeral Services will be held on Saturday, February 9, 2019 at 12:00 noon at Trinity Community Church, 3975 Highway 412, Cardwell, Missouri. A luncheon will follow the service at the American Legion Home of Senath, 113 West Commercial Street, Senath, Missouri. A private interment will be held at McGrew Cemetery in Senath, Missouri.